This is it. TrumpCare is back and Republicans are as close as they’ve ever been to passing it. The time to act is now. Call Lamar Alexander's offices. Attend a statewide action. Tell him to oppose this bill because of all the Tennessean that lose coverage. Because it jeopardizes women's health. Because it ends Medicaid as we know it. Because people will die as a result of this bill. Get to work. Senator Alexander announced last week that he was abandoning his bipartisan effort to improve healthcare for Americans in favor of the Graham-Cassidy monstrosity. He chose to do this even though he had gotten major concessions from Democrats. This latest version of TrumpCare would devastate Tennesseans - especially the 1.2 million who would lose protection for their pre-existing conditions under Graham-Cassidy. Instead of waiting to see exactly how bad the bill would be for Tennessee, though, Senator Alexander is prepared to vote yes without CBO estimates of how it will affect coverage or raise premiums. Make sure he knows how disappointed you are about him selling you out on TrumpCare. Caller: Hello! My name is [ ] and I’m calling from [part of state]. Can you tell me how Senator Alexander will vote on the Graham-Cassidy health care bill if it comes up for a vote? Staffer: The Senator hasn’t made a final decision but he likes pieces of the Graham-Cassidy proposal. Caller: That’s terrible. I want Senator Alexander to oppose Graham-Cassidy. It will wipe out the protections for pre-existing conditions that 1.2 million Tennesseans rely on - something that Senator Alexander said only two weeks ago was not a change he wanted to make. I was disappointed when Senator Alexander abandoned his bipartisan effort to improve the health care markets. Staffer: Senator Alexander is committed to protecting Tennesseans with pre-existing conditions. Ensuring that they can continue to buy health insurance is a top priority for him. Caller: If that is true, then I expect the Senator to vote no on Graham-Cassidy. This bill will strip over $1.5 billion in federal funding from Tennessee, and we won’t have a CBO estimate for how many Tennesseans will lose coverage or how much their premiums will increase as a result. Caller: Yes, please do. I will be watching this vote closely and I expect Senator Alexander to oppose. Graham-Cassidy. Please take down my contact information so you can let me know what Senator Alexander decides to do. Senator Alexander announced yesterday that he was abandoning his bipartisan effort to improve healthcare for Americans in favor of the Graham-Cassidy monstrosity. He chose to do this even though he had gotten major concessions from Democrats. This latest version of TrumpCare would devastate Tennesseans, starting with a $1.6 billion cut in federal funding. It’s clear that Senator Alexander chose to support Trump, his party, and Mitch McConnell over the Tennesseans he’s supposed to represent. Caller: That’s terrible. I want Senator Alexander to oppose Graham-Cassidy. It’s a harmful bill that will cut about $1.6 billion in federal funding for Tennessee. I also want to say that I’m disappointed that Sen. Alexander abandoned bipartisan efforts to improve healthcare for all Americans. He had made progress on a bipartisan approach but decided it was better to go along with his party over me and other Tennesseans. Staffer: Senator Alexander made a good faith effort to find a compromise, but ultimately the differences between the two parties were too great. Caller: That’s not true. There were ongoing negotiations that Sen. Alexander abandoned to make way for another TrumpCare vote. That’s not why Tennesseans sent him to Washington. Please tell him I’m going to remember this next time he’s up for re-election. Senator Alexander supported TrumpCare the first time around, but he can still make up for it by opposing Graham-Cassidy. We know how deep the funding cuts will be for Tennessee, estimated at $1.6 billion in federal funding by 2026. What we don’t know is just how many Tennesseans will lose coverage as a result of this bill. That’s because Republicans are planning to vote for it without getting coverage estimates from the Congressional Budget Office (CBO). After the defeat of TrumpCare in July, Senator Alexander led the Senate in holding a series of bipartisan hearings (along with Senator Patty Murray) in the Health, Education, Labor, and Pensions Committee that he chairs. 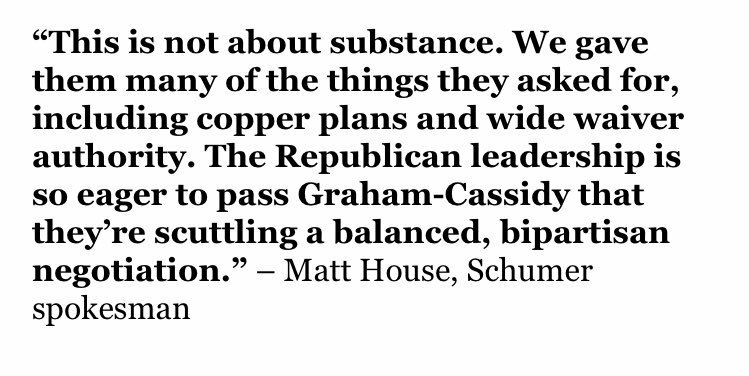 It was a refreshing bipartisan approach that Republicans should have taken all along—but there is nothing bipartisan about Graham-Cassidy. Tell Senator Alexander to preserve the bipartisan approach that he is leading by voting NO on Graham-Cassidy. Caller: I want Senator Alexander to oppose Graham-Cassidy. The bill is just like other TrumpCare bills in that it destroys Medicaid as we know it by turning Medicaid into a capped system. This hurts children with disabilities, seniors, and even victims of natural disasters like Harvey and Irma. Our state would lose $1.6 billion in federal funding because of this bill. And we don’t even know how many people will lose coverage because the CBO hasn’t had enough time to review the bill. Staffer: Senator Alexander thinks Obamacare is a failure. The Senator believes we must stabilize the market and lower premiums. That’s why he’s leading a series of bipartisan hearings with Senator Murray to strike commonsense compromises that help all Americans. 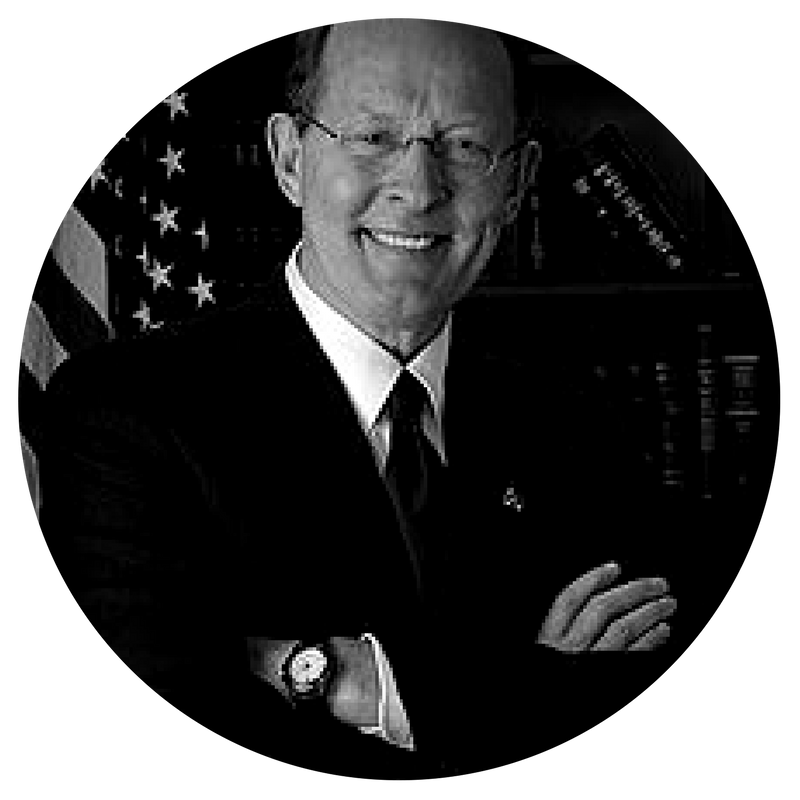 Caller: I’m glad that Senator Alexander is pursuing a bipartisan approach on health care. Will he commit to voting against this new version of TrumpCare until we at the very least know how many people will lose coverage? Caller: Yes, please do. I will be watching this vote closely and I expect Senator Alexander to oppose. Please take down my contact information so you can let me know what Senator Alexander decides to do. Caller: I want Governor Haslam to oppose Graham-Cassidy. The bill is just like other TrumpCare bills in that it destroys Medicaid as we know it by turning Medicaid into a capped system. This hurts children with disabilities, seniors, and even victims of natural disasters like Harvey and Irma. It also takes away funding to help people afford health insurance through the marketplace. Our state would lose $1.6 billion in federal funding because of this bill. Will Governor Haslam publicly oppose Graham-Cassidy?